I started playing Puzzle & Dragons back in early March of this year and was addicted to it for months. I loved all the cute and colourful monsters and the match 3 (or more!) aspect of it was immensely fun. Of course, I also loved collecting monsters and even spent money to buy Magic Stones just so I could use the Rare Gacha “machine” to get better monsters for my battle roster. Eventually, I hit a bit of a wall where higher levelled dungeons had bosses that could do in my party in one or two hits. Since I wasn’t up for grinding or spending oodles of money to purchase more Magic Stones so I could resume playing whenever I game overed, I pretty much stopped playing and only logged in to get the daily bonuses of Gold and whatever other bonuses it gave. Then suddenly, out of the blue comes Angel Salvation, which is fresh and brand spankin’ new for the unwitting audience outside of Japan — or more accurately, those that don’t peruse the Japanese App Store. 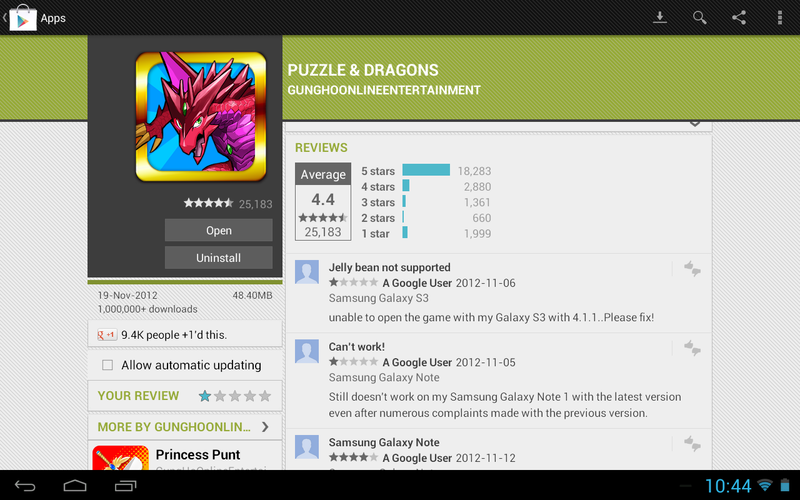 After all, you will undoubtedly see the Puzzle & Dragons icon somewhere while browsing through it. P&D struck gold not long after its release too; it reached over 1 million downloads in July and shows no signs of slowing down either since week after week, the game’s developer, Gung Ho, showers players with new special dungeons and events and there are even times when they’ll bestow gifts like Magic Stones. (Look at the frequency of updates in the News area: http://www.gungho.jp/pad/) Even gaming/toy/cartoon giant, Namco Bandai, made use of P&D’s fame by teaming up with Gung Ho to promote the latest iteration of their renown rhythm game series, Taiko no Tatsujin. It’s safe to say that this puzzle-RPG pretty much prints money so it should be no surprise that someone would come along to try and cash in on a tried and true formula. Even though you may not be able to read Japanese, your mind is probably telling you that Angel Salvation is a) essentially an English translated version of Puzzle & Dragons and b) a reskinning of Puzzle & Dragons. Hell, if the company’s logo didn’t appear during the start of the game, I would have thought that this was Gung Ho’s own release. In fact, I’m almost disappointed that the staff list in the About section of Angel Salvation didn’t have the exact same names. Oddly enough, Oneclick Game credits a team made of entirely Japanese names. I guess they either outsourced the development or decided to give themselves Japanese aliases. Anyway, I kid you not when I say that everything about the gameplay is the same, even the daily and consecutive login bonuses and hints ticker. This is cloning at its best (or worst? ), folks. I mean, wow. This is completely shameless. But wait! That’s not all! Apparently, Angel Salvation wasn’t Oneclick Game’s first bootleg of Puzzle & Dragons. I guess we just got some Westernized skin while the folks in China got a Three Kingdoms-themed one. You could say that Oneclick Game simply made use of an opportunity that Gung Ho had. I mean, if P&D is so popular in Japan, why not give the international market a try too? I’m sure that the reason for keeping the title inside Japan is business-related but I’m quite certain that as long as Oneclick Game maintains Angel Salvation and gives users the same love and attention Puzzle & Dragons gamers get from Gung Ho, they will enjoy some serious success. And if this happens then you can be sure that we’ll be seeing more clones popping up in our App Stores. Edit: I suppose I shouldn’t be surprised but apparently, there’s a lot of clones of P&D in Japan? Any idea when they will release the localized version? Oh yeah, forgot about that one. ^^ I really wonder how well Puzzle & Dragons will catch on though. 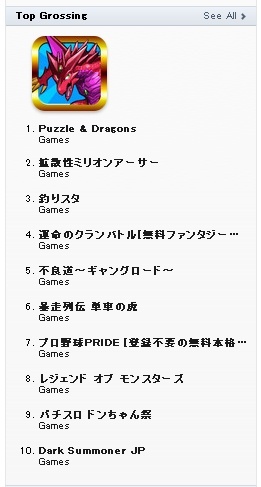 I guess as long as GungHo heavily promotes it and stuff (re: bribes Google and Apple to make it a featured game, etc.). It is on Android but only through the Japanese Play Store. It also has a lot of compatibility issues — i.e. doesn’t run on a lot of devices. Add me on angel salvation pls!! I know it’s a bit late but there’s another clone by IGG.COM called Heroes & Monsters, and it is most definitely a re-skin of PAD.